Alibaba, the Chinese e-commerce giant that wooed Wall Street, has posted a healthy profit since it became a publicly traded company in September, despite a slowdown in the Chinese economy. The company's second-quarter earnings report showed a 16 percent profit since the same period last year and sent the company's stock price to $106 per share in early trading this morning. The New York Times reported that Alibaba's market valuation is more that $250 billion, which surpasses the value of Facebook. Alibaba's golden performance is beating predictions that the company would be a flash-in-the-pan on the U.S. market. 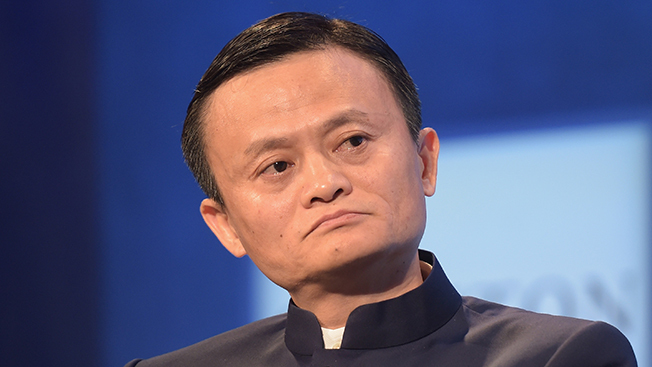 As of September, Bloomberg reported that Alibaba's revenue jumped 54 percent to $2.7 billion. Growth is being driven by an increase in shopping on mobile devices and in advertising. More people in China are reportedly using their smartphones to make e-commerce purchases. Alibaba counts a reported 307 million active buyers in China and says sellers are attracted by tools that help advertisers target their audiences. CEO Jonathan Lu told the Times that Alibaba is eyeing growth in China's rural regions, where only 9 percent of people use e-commerce. Meanwhile, founder Jack Ma is in the U.S. looking to stitch up deals with TV and movie studios to stream U.S. entertainment content to Chinese customers. He is also in talks with Apple CEO Tim Cook to bring Apple Pay to China.